Cheers guys. It's Ash, natural finish. Slightly shiny above the pickups where I rest my arm. It's also got some belt buckle dents on the back. Apart from that there aren't any overly distinctive features unfortunately. It was pretty new. I've had my '98 Fender Marcus Miller Jazz 4 String stolen. Natural colour, noticeable chip in headstock. No chrome pup cover. Sending messages to the Tassie members of this forum that I know as a heads-up. On New years eve 2 guitars were stolen from around the St Kilda area. These belong to Brad Marr and Aidan McGarrigle of MASSIVE. LAST SEEN after the gig at the Espy. No Questions asked we just need this gear. we are touring both nationally and internationally this year and this is our lives. Share this with everyone. My friend and fellow Bass player Matt posted this on Facebook so I thought i'd share it here too. "Some of you may have seen my other post about my car getting stolen. Hoping some of my FB friends can share this post in the unlikely event someone should run across the gear. Inside the vehicle were the following. SWR 'GoLight' 4x10 quad box. Very few of these around, wouldn't be surprised if it's the only one in Brisbane. 4 ohms. Looks like a normal bass quad on castors with rat fur covering, but very light. GK 700RB- I I bass head in a 2 space SKB rack unit. Fairly common. Line 6 Pod HD 500 in a gator bag. Serial # ends 006601 And for what it's worth the car is a white '95 Lancer station wagon rego 032CYZ"
message me if you see anything. Please pass his post around and see if it helps someone find this bass again for him. 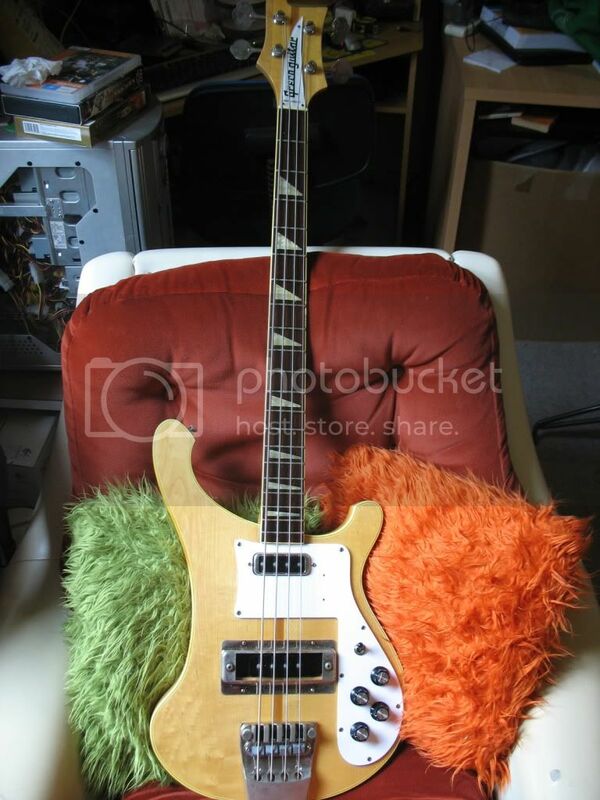 this bass was stolen from Kennington (Bendigo Vic) in the early hours of the 17th march 2014, it is a Greco Rickenbacker copy, it has a bent D string tuning peg, and a seymour duncan pickup @ the neck, the serial number reads as B824201, please call the Bendigo police if you see this, thanks in advance. -Boss Syb-5 synth pedal with expression pedal. bastards, I'll keep my eyes and ears open. Stolen - Adventure Audio Fuzz Peaks Pedal. Not a huge number of them in Aus. Sold in the forum, Aus Post said it was delivered but wasn't. Stolen by Aus Post Contractor. Both of us put in complaints to Aus Post. 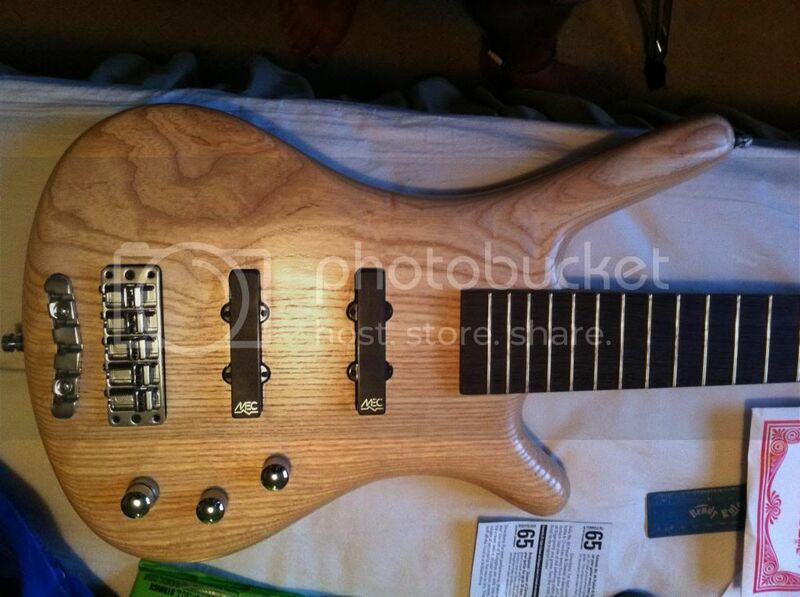 Refunded buyer in full, buyer then refunds half of my refund back to me, what a top Ozbass'r, Thank's Julio. Last edited by MentalPatient on 25 Oct 2015, 14:40, edited 5 times in total. ^ Oh man... I didn't think of doing that. A month or two back I sold some Bare Knuckle humbuckers to a guy interstate... they never arrived. We were helpless, with Australia Post not helping due to it being tracked as delivered. I ended up refunding him the full amount.